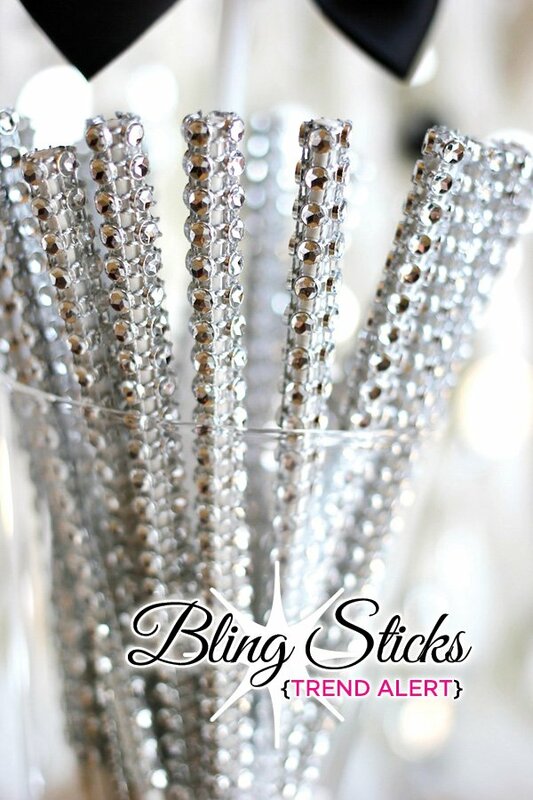 Home/Posts/Baby Showers, Party Decor Projects/Party Trend Alert: Bling Sticks! Party Trend Alert: Bling Sticks! 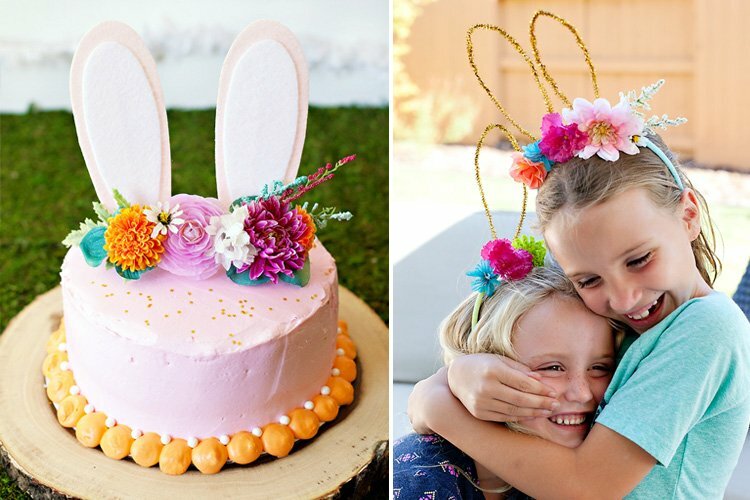 Tonya Coleman here from Soireé Event Design, and I’m back with a brand new series “Trend Alert” where I share with you some of the hottest trends in party planning and give you my twist on how to use it in your next party! Today’s guest post is all about Bling Sticks! These beauties come in all kinds of colors to match any party theme and are making a big splash in party world! They are actually made to hold cake pops, but they are so fabulous I had to come up with some other ways to use them as party decor! I was in the middle of designing my new “POP-arazzi BABY!” printable collection when I came across these bling sticks online from Made by A Princess. I knew right away that these sparkly babies would be perfect to use along with the printables to add that extra bling to the party’s decor! Your girl loves her bling after all! 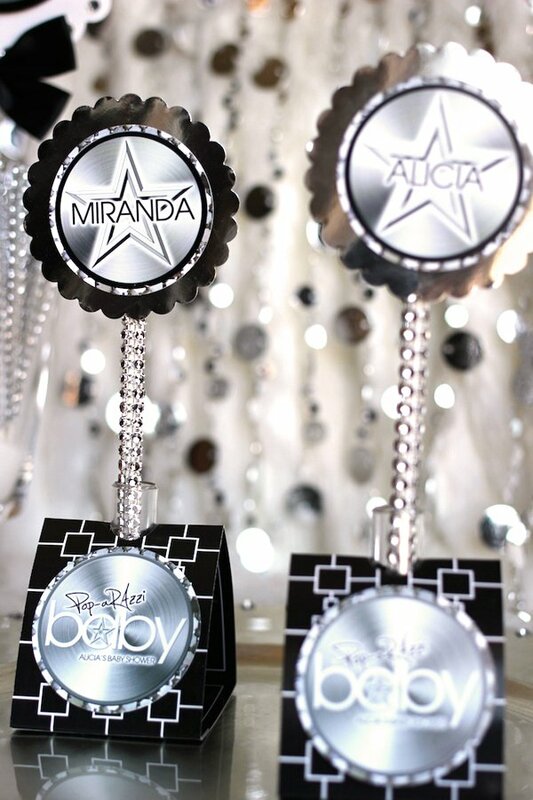 Why not throw a “POP-arazzi BABY!” celebrity themed baby shower to welcome your new baby in celebrity style! 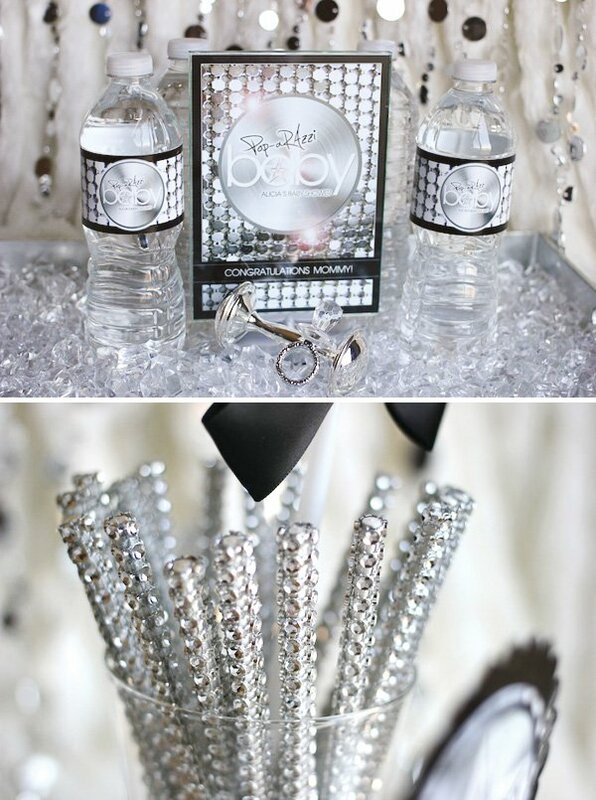 Bling sticks are the next big thing in party trends! 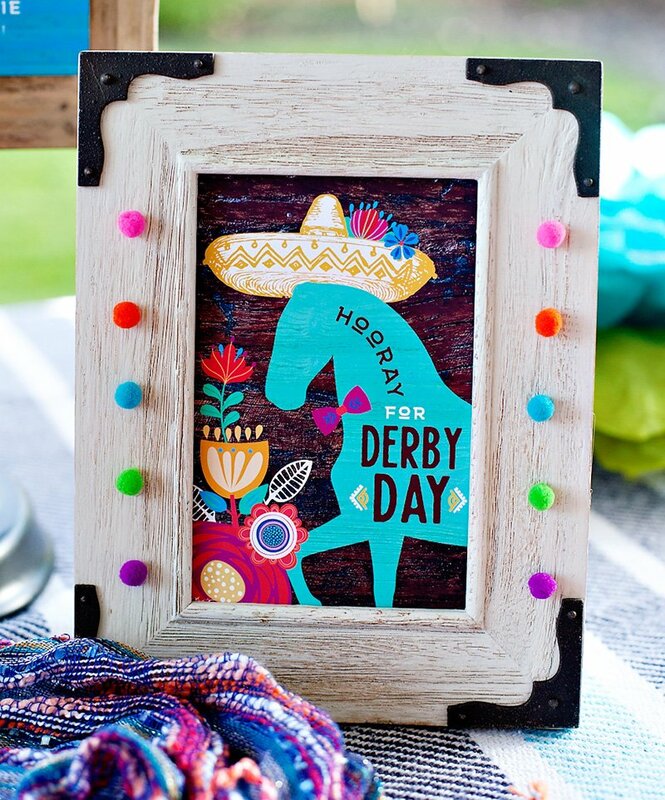 Bling sticks match our printable collections perfectly and are so easy to use. 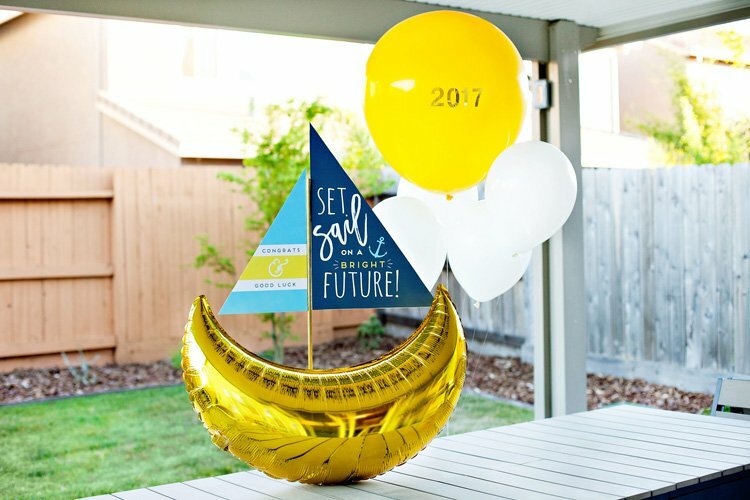 See how I used them with printables at a celebrity themed baby shower to add an affordable wow factor to your next party! Super easy and super glam! 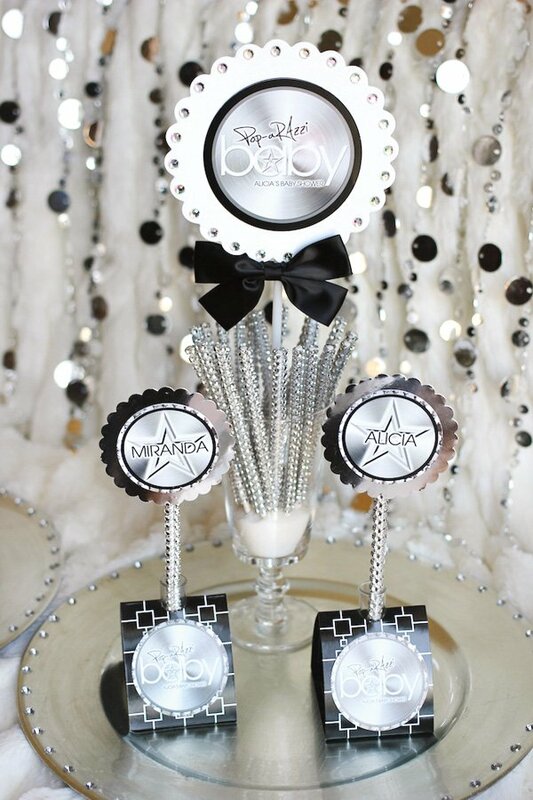 Hot glue a printable circle tag like this one customized with each guest’s name and place them in these fabulous placecard holders from Blumebox to keep them standing nice and even. TIP: These fabulous Blumebuds from Blumebox are the perfect way to display your placecard holders! They are meant to hold a fresh flower, but I use them to hold place card sticks! The Blumebuds come with a plastic tube that holds them up perfectly without tipping over! Okay, this one is as simple as pairing a personalized Lolli-tag™ circle stick with a handful of bling sticks displayed in a glass container! Yup, it’s that easy! TIP: Add a little sugar to the bottom of your vase to cover the white sticks and provide your printable stick some support to stand upright. Use bling sticks with printable circles personalized with each guest’s name to customize and add a touch of bling to your baby shower favors! Simply punch a hole in the top of a cardboard favor box and push the stick gently in. TIP: These work great with jelly beans or other candy inside the box that will make room easily for the stick when you push it in! 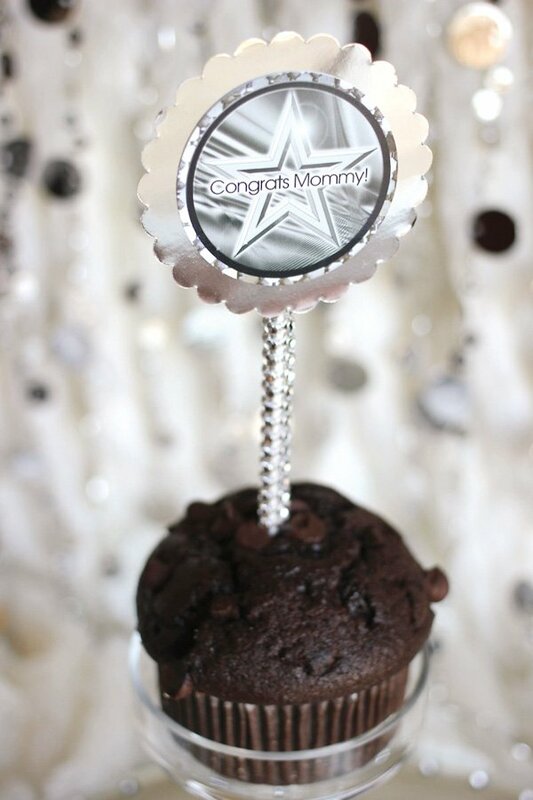 Use a personalized circle printable with your dessert’s name on it and use the bling sticks as both a dessert stick AND blinged out dessert sign! 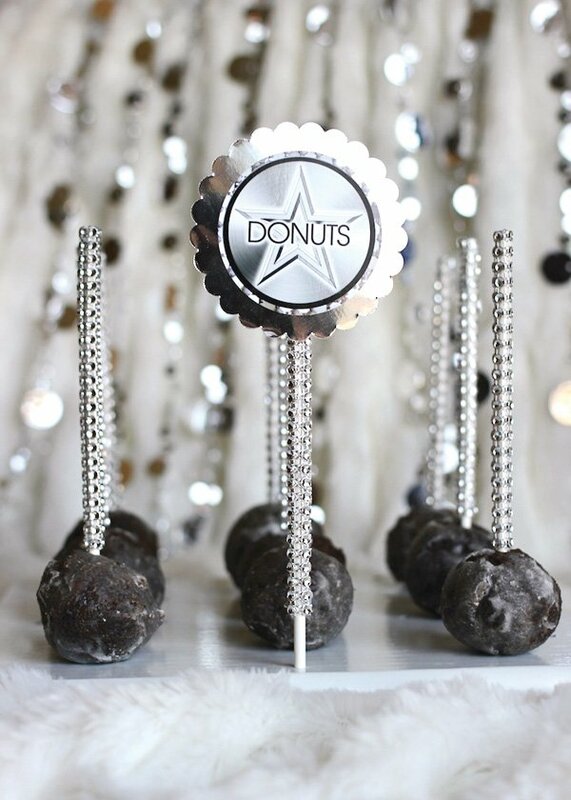 TIP: The bling side of the cake pop stick is too thick to be inserted into a standard cake pop stand, so I used the stand to hold the sign and surrounded it with doughnut holes that were soft enough and laid flat, when the bling stick was placed into it. Why not try muffins on your next dessert bar! So unexpected and a great alternative to standard cupcakes! 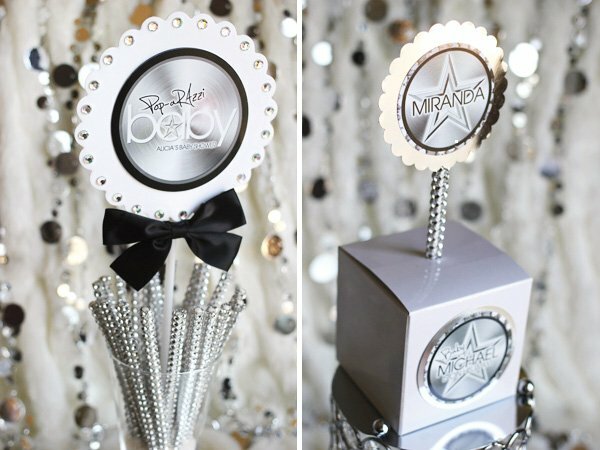 Simply top each one with a personalized printable glued to a bling stick and you’re done. TIP: DO not put the bling side of the stick down into your food. There is a good 1 1/2 inches of plain stick on one side to allow you to place it safely into food or desserts. 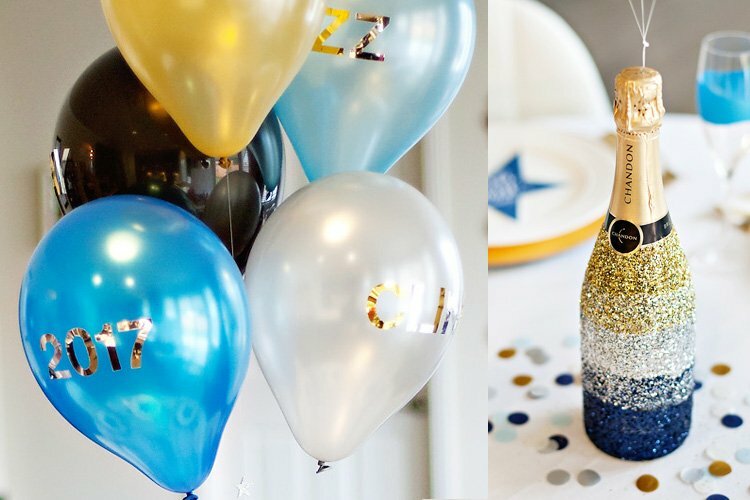 Want more party inspiration? Click over to my blog here for more party tips! We love having events for the salon and love, love, love the ideas given on this blog. Thank you!! !